Our previous Kidical Mass Tacoma rides have taken us to Proctor and Hilltop. In July we're heading for Central Tacoma. There's been some great discussion lately about the University of Puget Sound and its relationship with the surrounding community, so we'll be starting our next ride from the big campus fountain near the student union building. Our destination is Franklin Park, which now has a sprayground, where we'll take a break and play for a while. 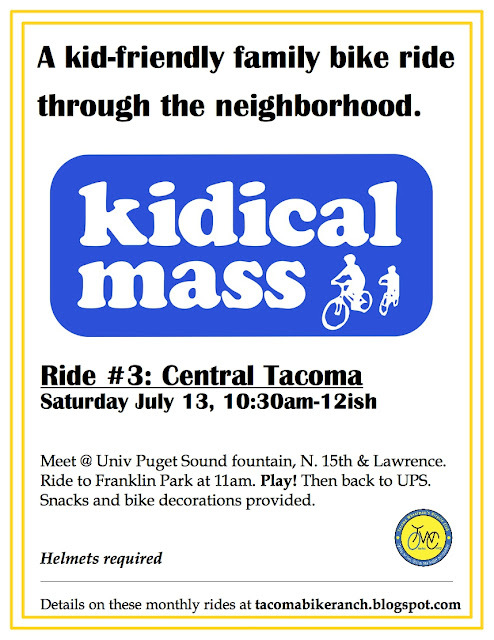 Along the way, we will also make a stop at Tacoma's largest Little Free Library. Expect a brief lesson on the importance of sharing. A more detailed route map is below. 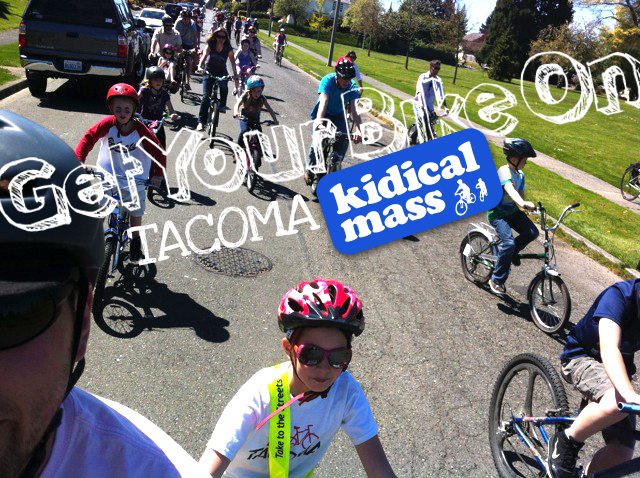 As always, we'll be riding in the street, because kids are traffic, too. We always ride together as a group and volunteers will be helping us with some of the larger arterial crossings. Our good pal Jeff's Ice Cream will have free ice cream and fruit bars for the riders at the finish. Kids, tell your parents you want to ride in the street! And feel free to share the link or print and post the flyer above. See you there.